Our mission is to educate the public and state government officials about Industrial Hemp and try to clear up the myths and teach the facts through meetings and seminars and setting up booths at public events. We also will be working to connect consumers and vendors of hemp products in Michigan and in the United States. We are a Michigan non profit orginization and funded through membership dues, fund raising events, and donations. If you are interested in helping out or becoming a member please do not hesitate to contact us. Membership dues are $10.00 year for basic membership and $15.00 for an enhanced membership, which includes a personalized, email address . Enhanced membership includes a “@mi-hemp.org”, “@mihemp.org” or (most common) “@michiganhemp.org” email address for 5 years (renewals will still be only $10.00/annum during this time) and both regular and enhanced membership includes access to a discussion board. Interested non-members may also subscribe to infrequent email alerts. Looking to directly work the halls and offices of Lansing, our direct geographically focused action plan involves YOU in the legislative process. With your 9-digit zip code, we will target both who your State Senator and State Representative in Lansing are. When we meet with your legislators, we will alert you with their contact information, allowing you to contact them to voice your support for our efforts. During the next several months we will be pushing forth an agenda to enact legislation allowing for the legal, regulated use of industrial hemp to be grown only for fiber, seed, biomass, etc., and NOT for recreational or medicinal purposes. Remember, the best industrial hemp produces the least valuable medicinal and recreational product, and this organization does not condone the use of such output. The details of this policy will change over time, and as we communicate with statewide agencies, farmers, law enforcement officials, manufacturers, entrepreneurs and elected officials, details will change. The details — and thus the text — are dynamic, so check here often. Members will have access to two forums for their input. Currently, the Legislative Policy linked below is in the House Committe on Commerce. Contact your legislator to let them know you support this Resolution (remember, this is a Resolution, and does not change the “on-the-book” laws. That change will be possible in the next few months). Everett Swift is the Executive Director of the Michigan Industrial Hemp Education and Marketing Project, MI-HEMP (and created the convenient initialism). The organization was formed in 2008 with 5 other members, who all unanimously voted to place Everett in the important position of E.D. He successfully made the County Commissioner Board of his county debate his Hemp Resolution 3 times. These efforts are improving the outreach and familiarity of hemp and its industrial and ecological uses among the populous and elected officials. He ran for State Representative in 2008 and is currently trying to obtain a seat on the County Commissioner Board of Montmorency County. He currently lives in Hillman, MI, but has traveled the state extensively in promotion of the cause. Matt Abel is a Michigan-based lawyer and maintains a successful private practice. Matt is also one of the original founding members of MIHEMP. With a BBA in Management and a professional background in personal financial planning, retail management, payroll administration, real estate management and lease administration, Bruce has been an active supporter in the preservation of individual liberties through the Campaign For Liberty and other pro-individual rights organizations. Bruce is also a member of the Michigan Antique Radio Club and the Western Wayne County Conservation Association (WWCCA), where he organized a statewide Michigan, pro-rights event for the WWCCA membership and the general public. Steve is the newest member of the MIHEMP board, having been an activist for over 40 years in the USA and abroad. Steve started out in the Cable Television industry as a ground worker, where he soon advanced to linemen, and finished up as foreman and equipment installer. In the early 80’s he started a First Aid and Safety Equipment Co. (Total Safety Services). In the early 90’s he joined a partnership in construction then built his own business with Sharpe Construction. 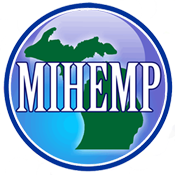 Steve will bring his experience working with local officials and State Senators and Representatives in moving forward on MIHEMP’s important issues, help to bring jobs to the Michigan business climate. With at least 11 years of Web design and corporate communications experience, Paul Pearson was a founding partner of MIHEMP with Everett Swift 4 other dedicated activists. He works with the Board to create and write EMails, Press Releases and other communications for MIHEMP, and is the Webmaster of this site. His main profession is insurance sales, although he is also a phlebotomist and assistant nurse. Dedicated to the cause, his appearances in media include Casper Leitch’s “Time 4 Hemp” podcast, The Peter Werbe Show on Detroit’s WRIF Radio, Fox-2 News Detroit and others. His writings have have appeared in over 20 magazines and newspapers, including the New York Times, Life, Nature, American Atheist, Skeptic, and others. His fiction and literature have been printed in 2 books of collected fiction and essays. He was the lead researcher and author of MIHEMP’s Auto Report on Hemp in the Automotive Industry. He is also a spokesperson for several organizations devoted to state/church separation issues and edits 3 blogs. He also runs his Website construction and media/graphics company, Delta 9 Marketing, is an activist for several causes, and lives with his wife in Houston, TX. Our By-Laws were adapted originally in 2008 and are under revision every year.